It’s that time of the year again when we think about the year that was and the year that will be. I’m glad that this love for food blogging has sustained its second year well. There have been the recent lows due to my regular broadband connection going AWOL, and google taking a full minute to load on my standby datacard. But that’s history now. The broadband has been restored to its earlier glory and so will food blogging. To capture all the action on Saffron Trail in 2007, I’d like to index all the recipes, category wise. The WBB round ups are all there on the left column. Saffron Trail had the honour of hosting Jihva for Ingredients in the month of July. Chillies were the chosen ingredient and the round up had 65 entries to make your mouth and eyes water! The most popular section week after week has been the Tamil Brahmin recipeswhere I jot down notes, taken over the phone (held between my shoulder and ear), while I’m hovering over the stove with a strong craving to eat food my genes are made up of. 2008 will see more of the rarer Tam-Bram recipes find their space on the blog. The piece written about Bhut Jholokiaalso seems to be on the top 5, at most times. This makes me wonder how many chilli obsessed people there are in the world. Weekend Breakfast Blogging, the event started in 2006 to popularise breakfast as a meal and to get inspirations from food bloggers all around – found a different home each month from Feb 07 onwards starting with Eggs at Live to eat. The themes ranged from green leafy veggies to summer fruits, spices tooats. Breakfasts then went through Ethnic twists to leftover revivals, the most recent ones being omelettes and cornflakes. With the Applied Nutrition degree that will be mine in the beginning on the year, the focus will be on healthier, more nutritious food. Through the blog, I hope to share info on healthier foods, cooking techniques and nutrition fundamentals with all the health conscious folks. The focus will also be on lesser known Indian regional cuisines. I’d love to discover newer healthy ingredients to cook with, making them more adaptable to Indian palates. 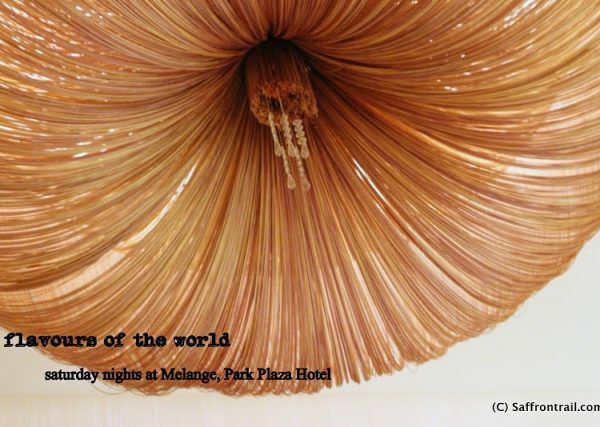 Another thing on the agenda is to explore the vegetarian recipes from the cuisines of the world. I’ve also promised myself to better my photographic skills. Any pointers towards books and websites that help one do so are welcome. 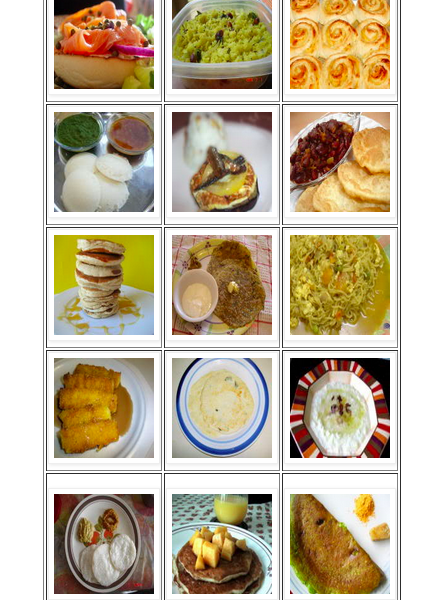 A user-friendly index of recipes blogged so far is on the cards for long now. It should be up and running by end of Jan.
I’d like to thank all my readers for their continued support, the encouragement caring from friends I have made in the food blogging world and of course my husband who has been super encouraging about any wild combinations I’ve come up with or anything new I’ve made him try, never making me feel foolish about something gone wrong or not tasting that great. He’s been a huge positive influence for this blog. After all, every cook needs patient tasters right! We’d like to wish all of you a wonderful 2008, that brings you tons of joy, love and good health and everything else you wish for. 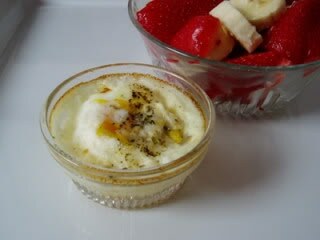 Hey Nandita, I really enjoy going thru your blog & appreciate the efforts for healthy eating. You keep me so inspired to do that ;-)God bless & a wonderful New Year to you & yours. That is a cool roundup of the year… Happy New Year sweetie, hope you won’t have to deal with all the connection issues next year! Nice post!…looking fwd to another year of goodness…happy new year! Thanks for a great round-up of the year! I love your breakfast event and hope to be an enthusiastic participant in the coming year 🙂 Your tamil recipes are always much appreciated. All the best for another bright and delicious year of blogging. Another year of good food. I love reading about what you have coming up too! 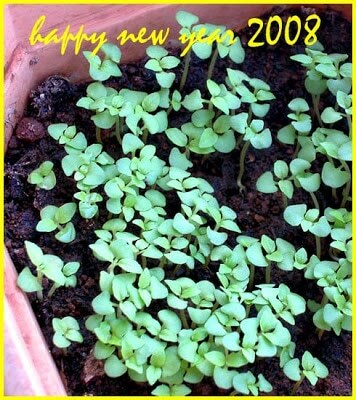 dear Nandita, Best Wishes for 2008! Nandita! Incredible round up and wishing you n family an amazing new year!! Happy New Year Nandita. I am so looking forward to your nutritional Indian recipes. Okay, I’ve just bookmarked this.Happy new year dearest to you and your loved ones. Looking forward to your new series and posts. Hello dear friends,Wishing you all a blast of a new year…forgot to mention one thing that a proper index of recipes blogged so far is very much on the cards, and long due in fact! I may enlist the help of dear friend Sig in the process 🙂 Thanks for coming by and leaving your good wishes- we just ushered 2008 at home, with a dozen close friends – good music and tons of good food….and lots leftover for today – wont be doing much cooking! Time to list down resolutions and yes – clean up after the paaardy!! !Cya all soon! Nice round up Nandita.Looking forward to see healthy recipes and tips.Wish you and your family members a very happy and prosperous new year. May 2008 bring fresh cheer to you and S…Happy New Year! Shankari dear, your wishes have been accepted 🙂 Hugs!!! Nandita my sweet. I wish you a prosperous and grand 2008! It’s been such a great pleasure knowing you these last (almost) 2 years. Look forward to sharing 2008 with you through your blog, emails and of course our regular and fun chats. Hugs always!